No, there is only one lounge_kodi_player_fast_fwd. It’s the same script I just tried two different input.actions. 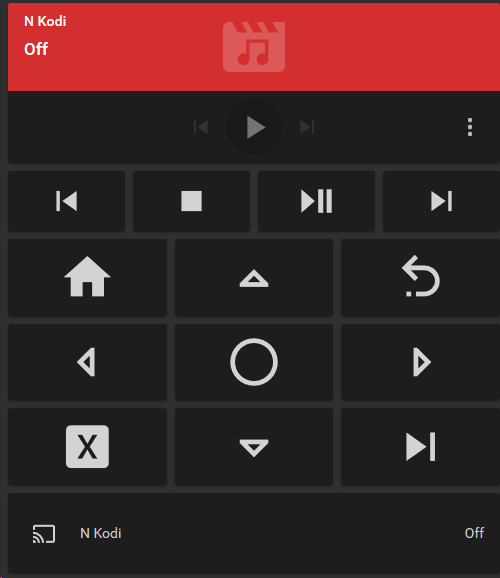 On my IR remote this action cycles through the available subtitles and disabled. I was using API version 0.9 not 0.6.
ok, this is not a nice thing. I look into the matter and try to come up with someone’s solution. So this is the right method. I just cant work out how to pass the parameters, playerid and speed. It’s far too late and I’m going to bed. Hopefully someone that knows what they are doing can spot my mistake. Can anyone verify that HA is using correct version of jsonrpc libraries? What if You just give up with complex rpc system by defining rest command on Kodi and execute that by your script? But that can wait until tomorrow. It’s far too late on a work night. That looks awesome! Could you post the ui-lovelace.yaml code as well? Awesome, thanks a ton! This has some things in it I’ve never seen before so this is a great way to learn. 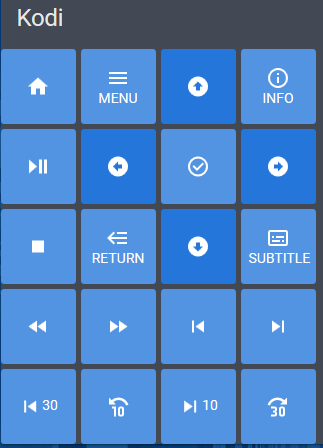 I’ve got 1 of my 3 kodi’s all set up now and it works great. Now to do the other 2. I’m thinking there should be a way to use the same script but change the entity id based on the card that’s pulling it. For now I’ll just do some find/replace and have more code in the files. 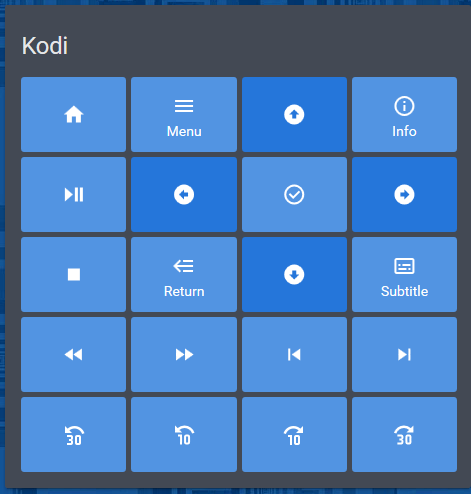 What does your config look like for Kodi? I have a similar set up. thankyou for sharing this, works perfectly and just what I was after! They are not available in 0.88.2 (the version I’m currently running) so I downloaded them and am using them from local storage (www folder).